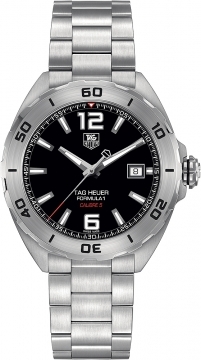 Buy this new Tag Heuer Formula 1 Automatic 41mm waz2113.ba0875 mens watch for the discount price of £1,190.00. UK Retailer. 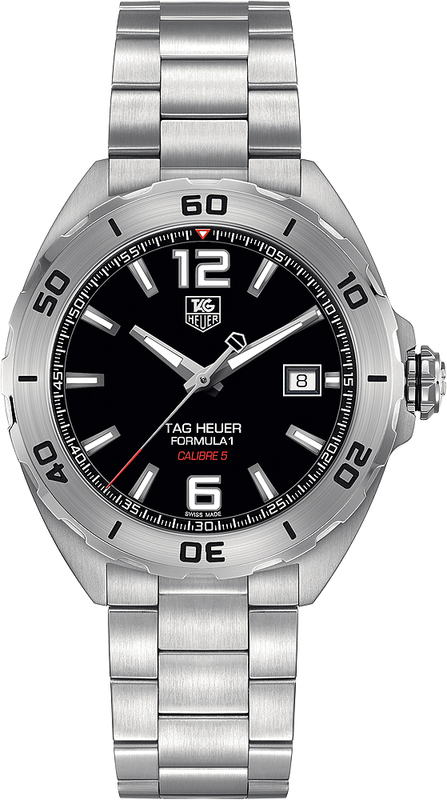 Tag Heuer Caliber 5, beats at 28,800 vph, contains 25-26 Jewels & has an approximate power reserve of 38 hours.